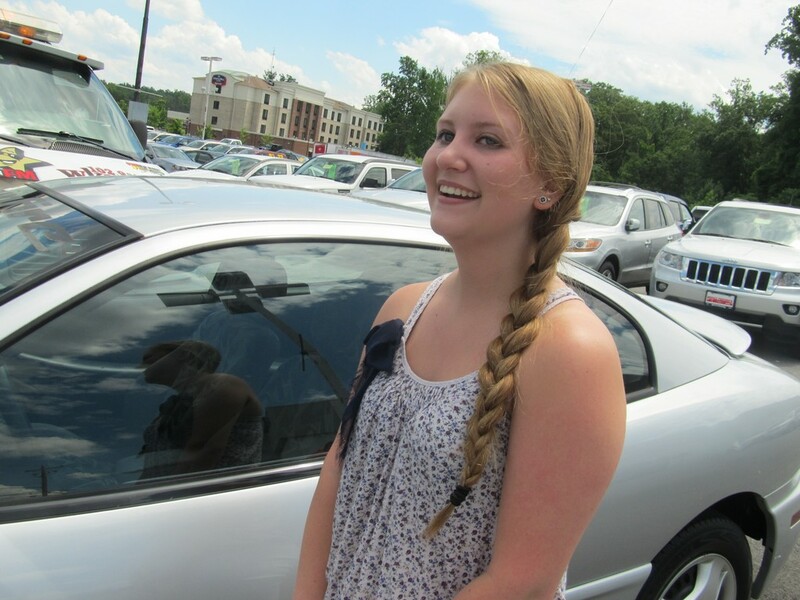 Calvert High School Grad Wins Car from Prince Frederick Dodge Chrysler Jeep! Sarah McCoy now has a ride to work and school. The recent Calvert High School (CHS) graduate attended the Class of 2013’s Project Graduation event following the June 5 commencement exercise. Sarah recalled putting her name in a jar and learning during the event her name had been drawn for a prize. On Saturday, June 29 Sarah McCoy collected her mystery prize. Was she surprised? “It’s a car, so yeah,” Sarah replied. The car is a 2003 Pontiac Sunfire, state-inspected, courtesy of Prince Frederick Chrysler Jeep Dodge. The dealership has offered a used car to a CHS graduating senior the past three years. McCoy, with her parents—Melissa and Tim—other family members and friends looking on, received the keys to her new car from dealership general manager Tony Crowdis and used car sales manager Bob Austin. 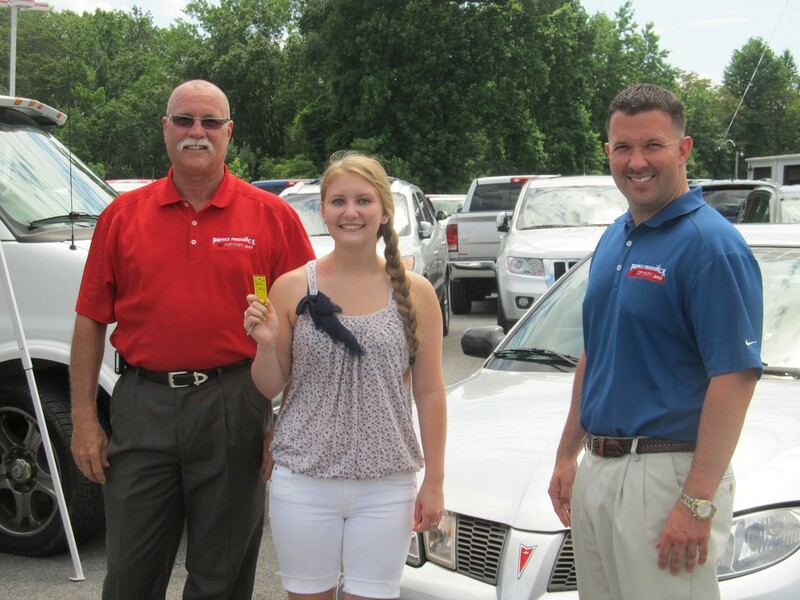 The presentation of the car and keys coincided with Prince Frederick Chrysler Jeep Dodge’s Beach Party. Sarah was interviewed live by Star 98.3’s morning duo T-Bone and Heather. Becoming a car owner and a radio star—all within a few minutes—didn’t cause Sarah to lose focus. She continues her work at Mamma Lucia’s restaurant in Prince Frederick and will be taking classes at the College of Southern Maryland Prince Frederick. Sarah’s plan is to eventually transfer to St. Mary’s College of Maryland, major in history and seek a career as a historian. Sarah has the drive to succeed and now she has the wheels to go with it. For More Information visit Prince Frederick Chrysler Jeep Dodge at 265 Solomons Island Road located in Prince Frederick, Maryland 20678. Call 1-410-535-1200 or visit us on http://www.princefrederickdodge.com!